Lincoln High School Places First in We the People National Finals!After three riveting days of hearings on the U.S. Constitution, Lincoln High School from Portland, Oregon, placed first in the 27th Annual We the People National Finals. Amador Valley High School from California finished second and Maggie L. Walker Governor's School from Virginia placed third. Like the Center's Facebook page for news and photos of the event. You can find the full list of awards on the National Finals Awards page. 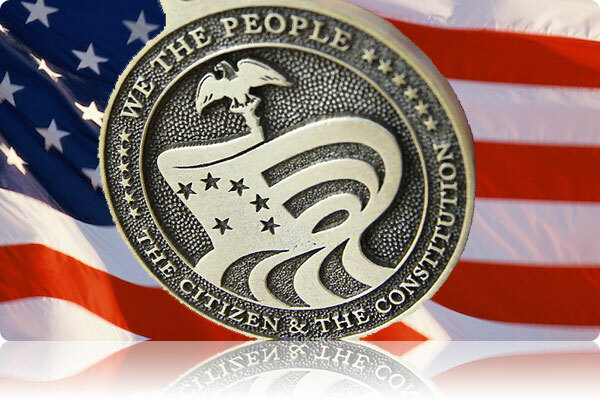 Find information about the National Finals and the We the People program. See the dates and locations of state competitions and the participating classes. Find information about National Finals schedule meetings, and important forms. Find information about the National Finals schedule, location, and guidelines for visitors. Find judging and volunteer information. > Volunteers View the class sponsors participating in the National Finals.